i Click 'view all' to instantly compare this ok deal with offers on other top personalized photo coffee mugs. Personalized Coffee Mug Add pictures, logo, or text to our Custom Mugs is currently selling at $16.99, approximately $0.29 higher than average. With a lowest price of $13.99 and an average of $16.70 it is selling on the high end of its usual range. Price volatility is 0.59% (meaning it does not change often), so you might have to wait a while for the price to drop. Right now this product is a recommended 'ok deal'. There is a coupon available for an additional 10% off. 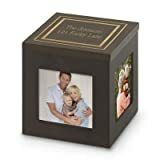 Compare the current price, savings (in dollars & percent) and Buy Ratings for the top Personalized Photo Coffee Mugs that are closely related to Personalized Coffee Mug Add pictures, logo, or text to our Custom Mugs. 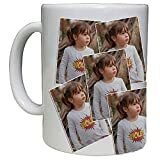 Here is how Personalized Coffee Mug Add pictures, logo, or text to our Custom Mugs compares with other leading Personalized Photo Coffee Mugs. Start your morning right! Use your own image to fill the whopping printable area on our ceramic photo custom mug. Quality materials and vibrant colors will make this a treasured gift or keepsake. Microwave and top shelf dishwasher safe. DOUBLE SIDED - Print 2 different images if needed. 11 oz. Ceramic Personalized Mug - Customized just for you by you. Free 2-3 Day Shipping on All personalized mugs. Design your mug with your own artwork or photos with our easy online designer. Start now! Our custom mugs are great and the price is low with Free shipping from Marvelous Printing. 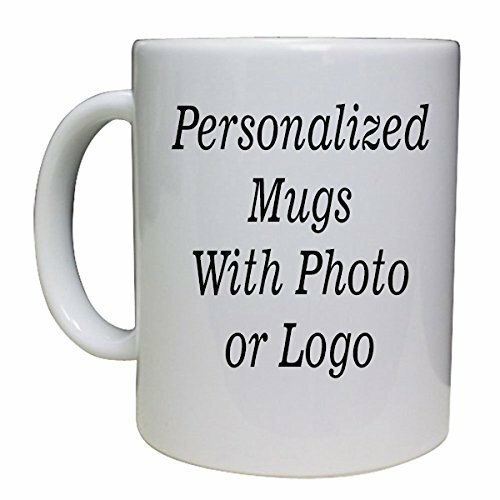 Marvelous Printing Personalized Coffee Mug 11oz with Free Shipping - Add pictures, logo, or text! to our Custom Mugs FeaturesDesign your Custom Mug - Click CustomizeMarvelous Printing all white personalized mugs are Microwave and top shelf dishwasher safe.Free Shipping on All custom mugs from Marvelous Printing11 oz. Ceramic Personalized Mug - Customized Mug just for you by you.